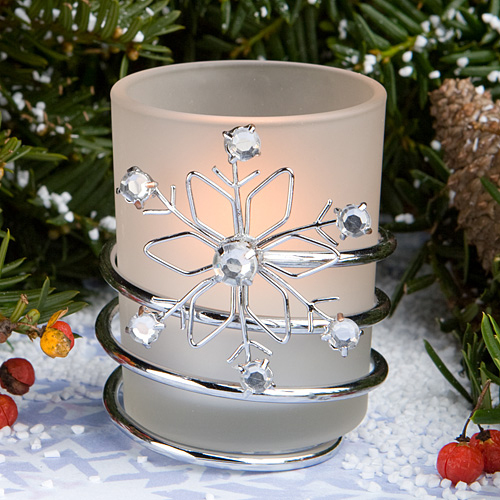 With these seasonal snowflake candles on your tables you'll have a touch of winters frosty charm inside. As dramatic as the season they so aptly represent, these winter snowflake candles are a standout among favours for all winter and holiday occasions. Each features a metal base with a wire snowflake design decorated with glistening rhinestones at each of its points and at its center. Resting in the base is a frosted glass votive sized candleholder. Each is 2.75" tall and 2" round and comes packaged in a white gift box with a tea light included.